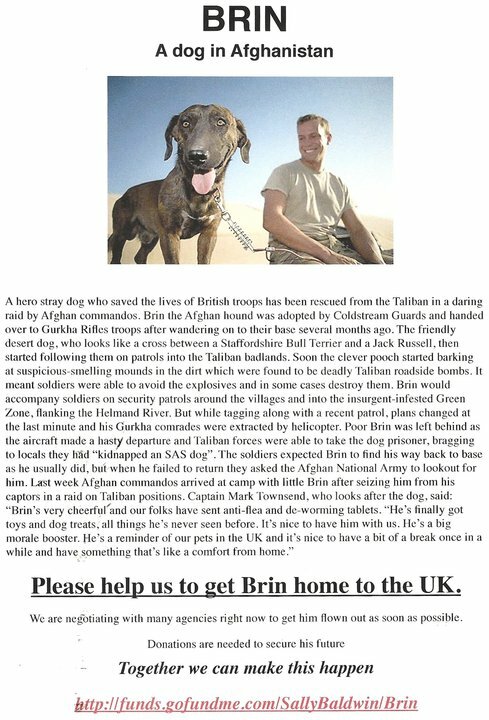 It was Marks family who told me about Nowzad and the work they do to help animals adopted by serving soldiers make it out to a new life, and home. Life for the strays in Afghanistan is extremely harsh and the local people are often fearful due to the risk of disease from countless dogs and cats roaming free. The hot days and bitter nights also take their toll on these animals. For the animals who find their way to a base their future is also often limited due to strict guidelines surrounding the befriending of these animals. 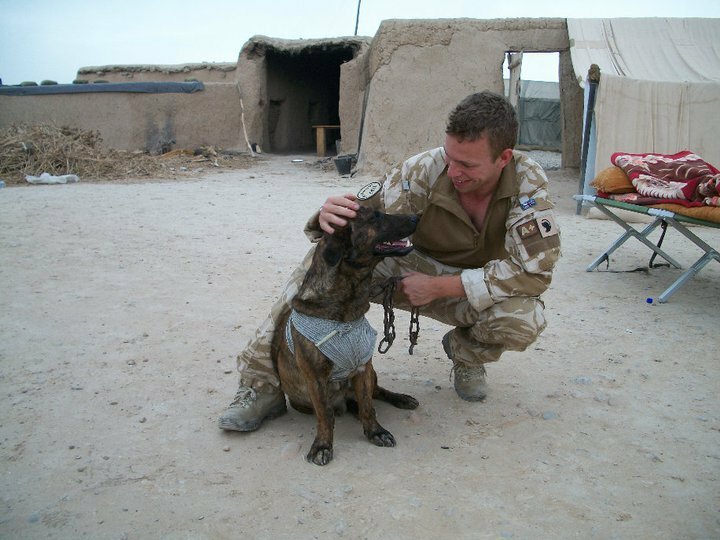 For the soldiers who care for them they will tell you that they offer comfort and a ‘little piece of home’. Nowzad said they would try to help but in the meantime to start fundraising to cover the costs involved. The costs being the care, flight and quarantine of Brin should he be saved. The overall costs would amount to just over £4,000 and after a sharp intake of breath I embarked on another journey that would enable me to encounter the most amazing people, along with a few that would also question what I was trying to achieve. Printing out posters was the start, along with ‘ebaying’ collection tins to place anywhere that would take them. I wrote to the local papers as well as the nationals and it was the local Sussex Express who took up the story and ran with on the front page. Not knowing quite how to collect any funds I started a ‘gofundme’ page testing it by donating the first amount. Kevin followed suit and there was a real moment of excitement that came with seeing two donations! Unbelievably, this was followed by more the next day along with words of encouragement that made it all seem more real. Through the paper article checks arrived, along with cards and letters all hand written. I made a point of writing back to each and every one to thank them for their kindness and also included a small photo of Brin.